Happy New Year from the frozen tundra of Madison, WI where the temperature has climbed from -14F to -12F since the sun came up. 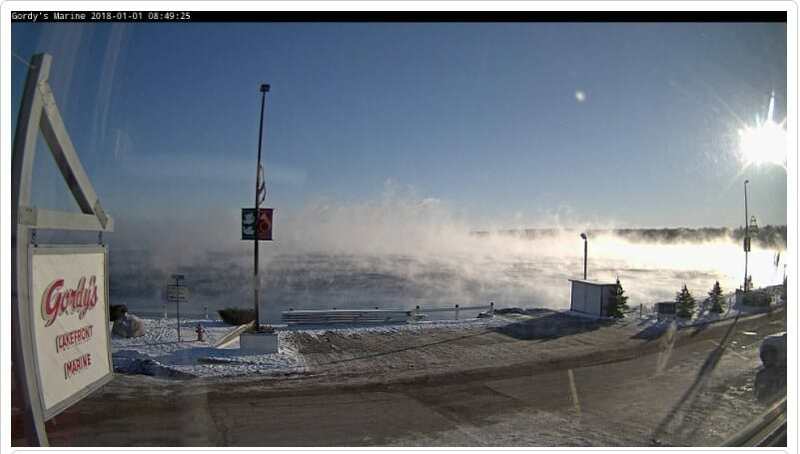 Most of the area webcams haven’t been functional because of the cold except for Gordy’s on Geneva Lake. You can watch Geneva turn to ice by going to Gordy’s website and clicking on the webcam link on the top right of the page.